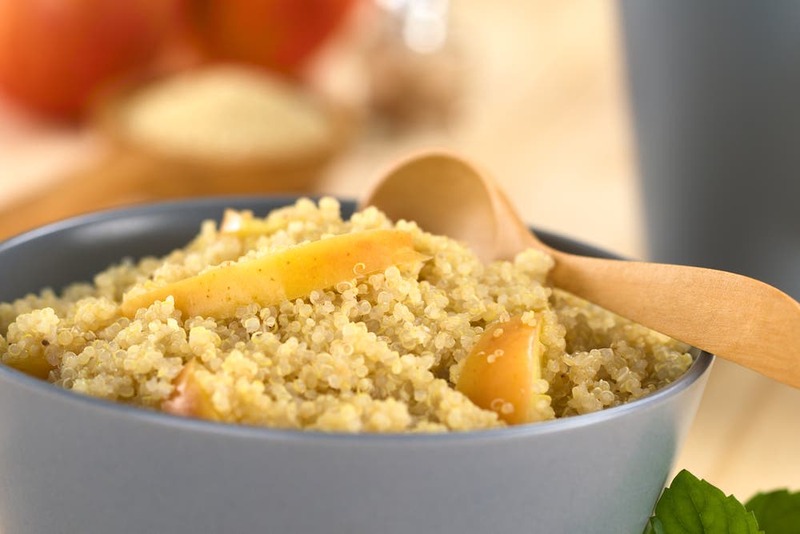 Fasting from dawn-to-dusk in Ramadan could leave you exhausted, and as you are what you eat it’s time to get the low down on what foods will give you long-lasting energy. Too often, people choose to skip the pre-dawn “suhoor” meal altogether or choose the wrong foods. It’s time to get smart about the food choices you make which is key for an easy fast. A balanced suhoor will leave you feeling energized and help curb feelings of hunger and thirst during the day. On the other hand, some ingredients in your suhoor meal will have a negative effect on your overall wellbeing during the day. Salty items such as za’atar, olives, salty cheese, smoked meats and pickles should be avoided because they’ll only make you thirsty during the day. Spicy food has the same effect and should be limited. Stay away from simple sugars found in white bread, sweets, candy, cake and plain cereal which can cause a sugar rush followed by a sugar slump, a cue for cravings. 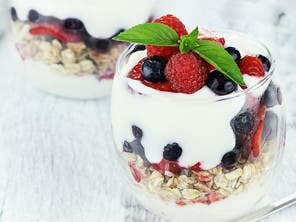 Here’s a round-up of 7 meals you should have for suhoor this year to keep your energy up and ensure an easier fast. 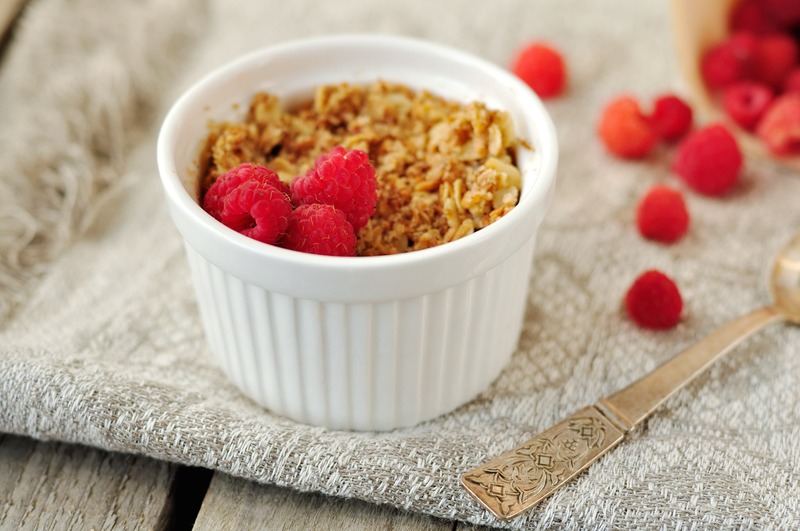 Oats are great source of fiber that slow down the release of energy, keeping you full for longer. Steel-cut oats, which take around 15 minutes to cook, contain even more fiber than other oat varieties but take longer to cook. 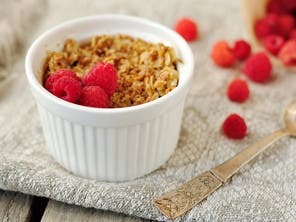 Cook oats in milk for a more filling effect. Sweeten your oats with a drizzle of honey, mix in some dried fruits and top with pumpkin seeds. 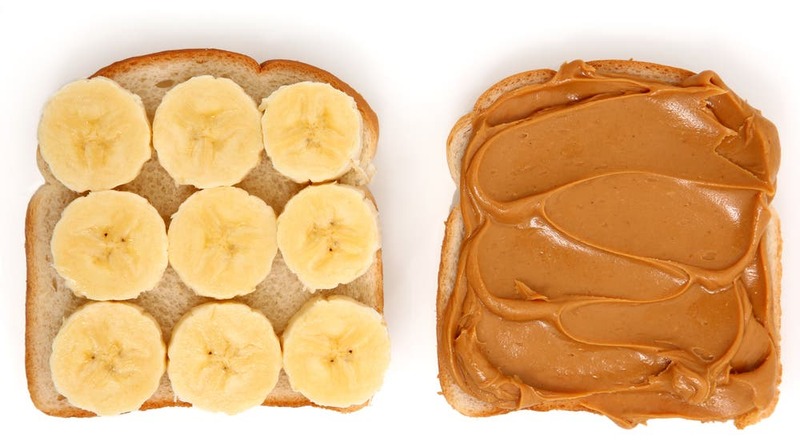 Peanut butter is an excellent source of protein, and it’s filled with healthy monounsaturated fat, both of which have a satiating effect. 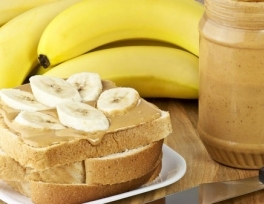 Spread on whole grain bread and pair it with sliced bananas. Why bananas? The yellow fruit, when it’s still a touch green, is a source of resistant starch that helps many feel full. 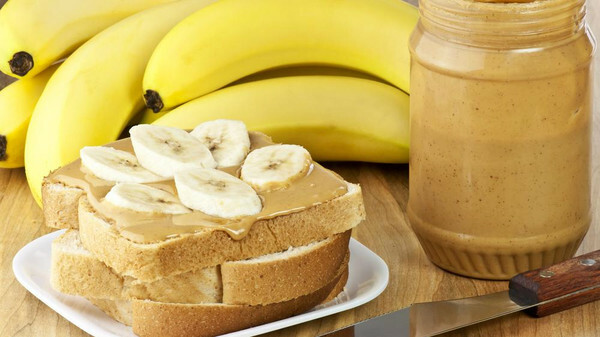 Bananas can also help keep those mid-morning cravings at bay. 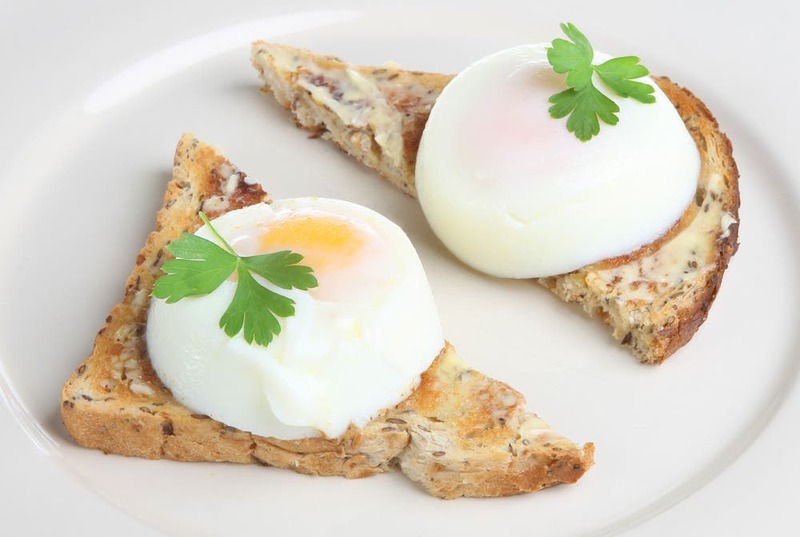 Eggs are considered a healthy source of protein and Vitamin D, although they are avoided by some for their high cholesterol content. 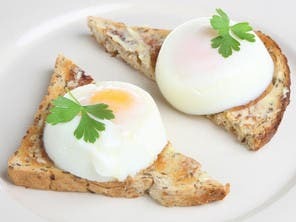 However, the cholesterol in food has less of an impact on blood cholesterol levels than saturated fat for example, and people who have a high blood cholesterol levels are allowed to have 2 eggs a week. 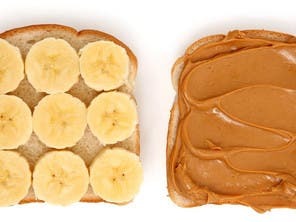 Add it on top of grainy toasts and top it off with sliced tomatoes for added fiber. 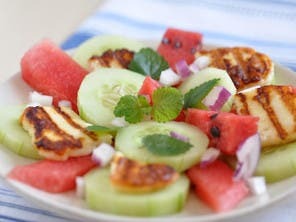 As its name suggests, watermelon is a juicy fruit and a great way to hydrate for only 40 calories per cup. 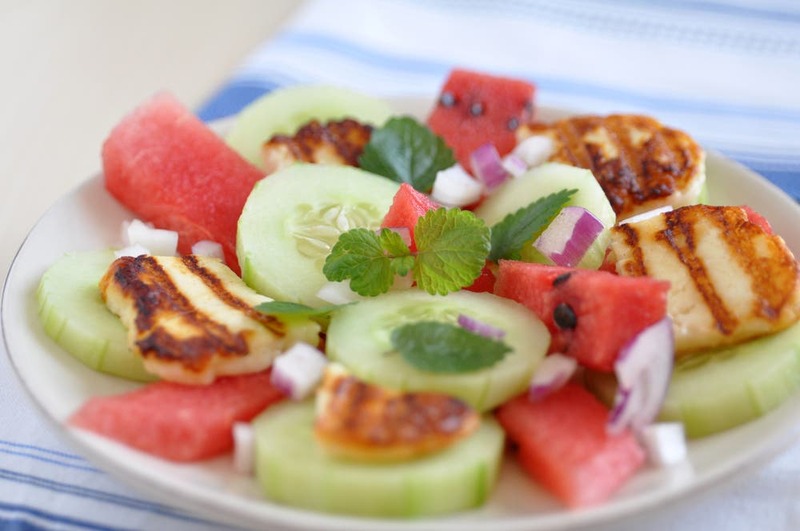 Combine it with white halloumi cheese for the must needed filling effect. 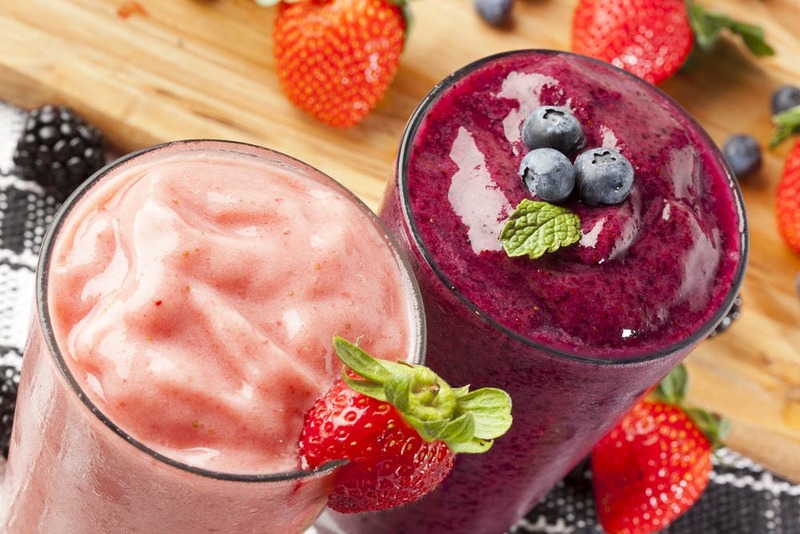 Not all smoothies are alike. While many contain a high amount of sugar and can leave you feeling hungry, the one we’ve recommended are quite the opposite. Combine dry chia seeds, yogurt, seedless grapes with skin intact, and ice then blend. The end result? 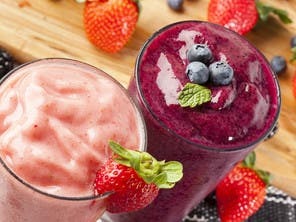 A smoothie rich in omega 3, fiber, and protein all in one go while keeping your blood sugar balanced. 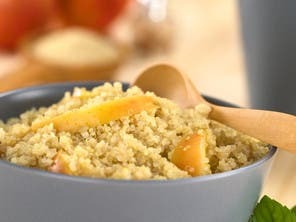 Quinoa is a vegetarian source of complete protein and fiber and makes a great gluten free alternative to oats. Cook it in coconut milk and dice in some apples and cinnamon for a great tasting suhoor meal. Feel like having something sweet? Store-bought plain old frozen yogurt is your answer and takes just a few minutes to prepare in a bowl. 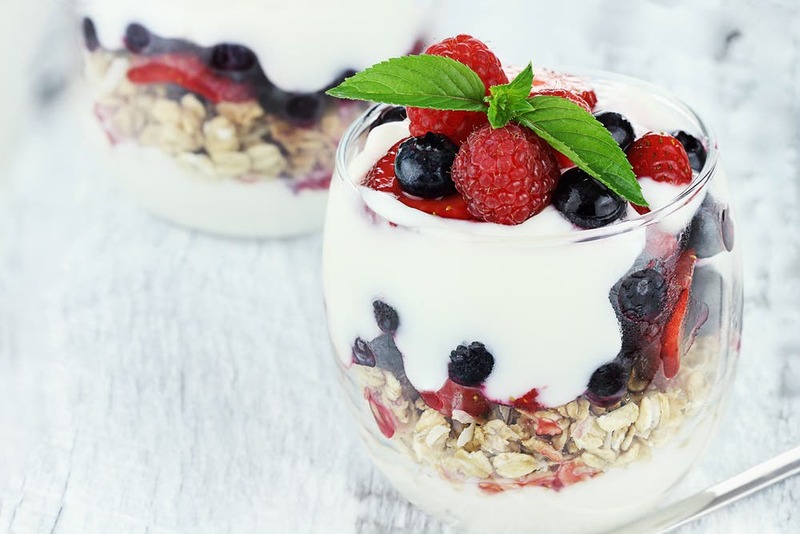 Make sure to select satiating toppings, including fruits such as berries and granola.